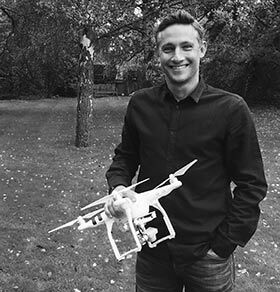 Upon qualifying to be a registered UAV Pilot, our CEO Simon Ritterband sought to obtain insurance as would be expected. It was immediately apparent that the insurance market for drones was wholly under-developed, with very few offerings and very user-unfriendly. He created a team to vastly streamline and improve the process, with Mr Paul Lisberg, bringing business management experience, having spent years on the Executive Management team of major global entertainment businesses, and Dominic Trigg, who has twenty years experience running an industry leading insurance brokerage, to form Moonrock.